The entrance to a building constructed parallel to the ridge *mune 棟 of the roof *yane 屋根, usually on the long side of the building. These buildings usually have a gable roof, hipped roof or hip-and-gable roof. The axis of the approach is thus at right angles to the line of the ridge. 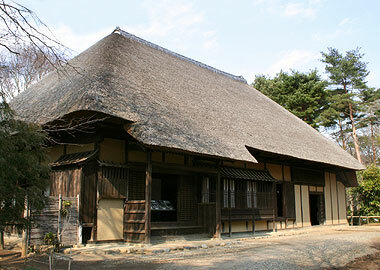 Hirairi are commonly found in the traditional vernacular houses *minka 民家, of the Edo period. The opposite of hirairi is *tsumairi 妻入 or gable entry.